William Gibson, one of the early movers of cyberpunk, wrote a novel in 1996 about cyberspace love. 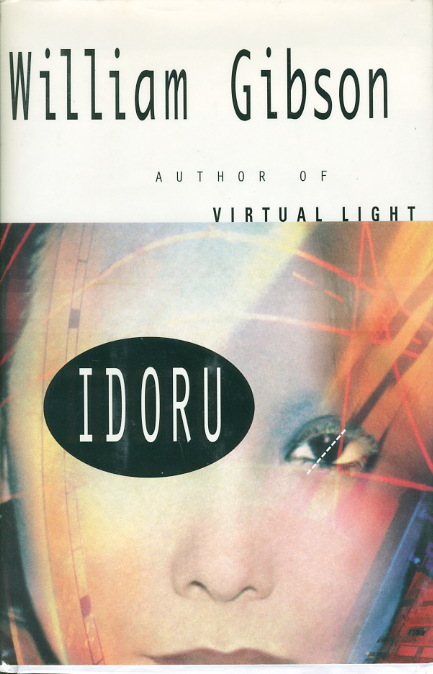 Idoru, which I didn’t even realize was the second book in a trilogy called Bridge when I bought it (and that doesn’t matter), is about virtual avatars and worlds that have become so real that they cross dimensions and enter into existence. As a gamer, that’s not an unthinkable concept to me. That future is all but here, with virtual reality and technology like Google Glass. Even with our many phones and computers and televisions, we’re constantly plugged in. Our lives are as much online as they are physical. In Idoru, those realities intersect. The lead member of the popular band Lo/Rez plans to marry a synthetic personality called Rei Toei, the titular idoru — only their love and such a union is impossible. She’s not real, merely a conscious hologram projected by a machine, and everyone around Rez is wondering what’s going on in his head. Enter Laney, who’s good at figuring out that sort of thing. So good that when he worked at SlitScan, a company obsessed with the ratings roller coaster of making and breaking celebrities, exposing and destroying their lives for entertainment, he predicted that a wannabe-famous young woman would kill herself. Nobody believed him, but he’s good at reading the signs — discerning the “nodal points,” like seeing faces in the clouds. Too good. Those are skills that could be put to better use — use with Lo/Rez, or at least the people who protect them. Laney’s hired to get inside Rez’s head, so to speak. That’s the idea, anyway. The data isn’t there in the way it should be, and the mysterious idoru plays her own part in it, as does an innocent girl named Chia who travels to Japan to learn if there’s truth to the rumor about Rez’s proposal on behalf of the Lo/Rez fan club she’s part of. Only, she becomes involved in a dangerous sort of business, all accidental, that changes her perception of life, with its many planes, and of her own idol, Rez. It’s a bizarre plot for sure, but Gibson’s writing has captivated and stuck with me since Neuromancer, and it’s just as absorbing here. 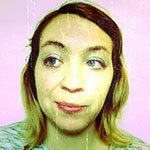 Gibson shifts verb tenses and sentence constructions as easily as the characters do realities. His writing is plain, stark on the page, yet totally imaginative in the way that brings you to this whole other state of being, this completely new future. Tokyo. The Walled City. A love hotel. Beautiful and ugly have a way of mixing up together. Idoru seems to search for a sense of its own meaning toward the later chapters, all switching between Chia’s and Laney’s perspectives even when they inevitably intertwine, but the message to me is one we’re more familiar with each day: the union of technology and nature that’s so pure, so invisible as to be untraceable — to be as one. “Porting” — logging on — is a commonplace phenomenon, no different than walking down the street. The idoru and Rez’s love is real even though she exists only as embodied information. And some people, like the shut-in otaku Masahiko, live more in data spaces like the Walled City than in the real world. This is a future where anyone’s identity can be fabricated, can be replicated or falsified, as avatars or doppelgangers on video — your face on someone else’s body, incriminating. Or how you want to be seen. The new real you. Gibson is clever to pair this exploration of a new nature with the widespread, cult-like indulgence in the celebrity. Like the real to the virtual, the digital version to the truth, the images don’t quite match up. They’re slightly off, almost imperceptibly. Rez and the idoru can’t be accepted. Their relationship is too controversial. But they will be. We’re getting there — one reality infiltrating another.